This summer has been one filled with stories, travels, healing and friendships revisited. Last week I was so lucky to get a phone call from a friend that I used to work with. She moved from Austin to go take care of her mother over 6 years ago. It was supposed to be a quick visit back home to help her mother get back from a medical crisis. Well, the chapters continue and her mother is in her 90’s and my friend is still there taking care of her. We all pray for a daughter like Dottie!! Now my friend and I use to have so many good laughs, share books, and both of us would encourage each other to start writing as we struggle through some of our bumps and lessons in life. My years of teenage parenting parallel her years of caring for her mother. Interesting how so many of our chapters are the same challenges and lessons even though the players are different ages and in different stages. Well, my friend Dottie was in town visiting her daughter. We don’t always get to see each other when she visits. Her time with her daughter is so precious and my schedule is usually full with random things like work, family, etc. But, last week she caught me and we were able to sit down and really talk. We laughed, she shared what was on her heart and I shared what was on mine. Now, I know not everyone wants to wear a bracelet…but, for some reason this is still my favorite thing to say, do and share…I wonder when the day will come when the simple round wood beads and the knots of elastic cord will be replaced with something else to share my heart and give comfort…but, for now it keeps giving and giving. My husband says to me often, “Now, Corinne, you cannot talk about Healing Knots all of the time. Not everyone is really that interested.” Oh, I know he is right…and I try to keep this piece of my heart and life in check. But, I keep finding one more person that needs a bracelet. Just one more…to share that what they are doing is changing someone’s life and touching someone’s soul in a really special way. Today I opened my email and found this precious note from Dottie….oh, it warmed my heart as I sipped my coffee. And if only for this one day, I celebrate that love can still be shared with wood beads on an elastic cord…with knots, to hold you along your journey. A bracelet to show love, support and care that what you do each day is making a difference. 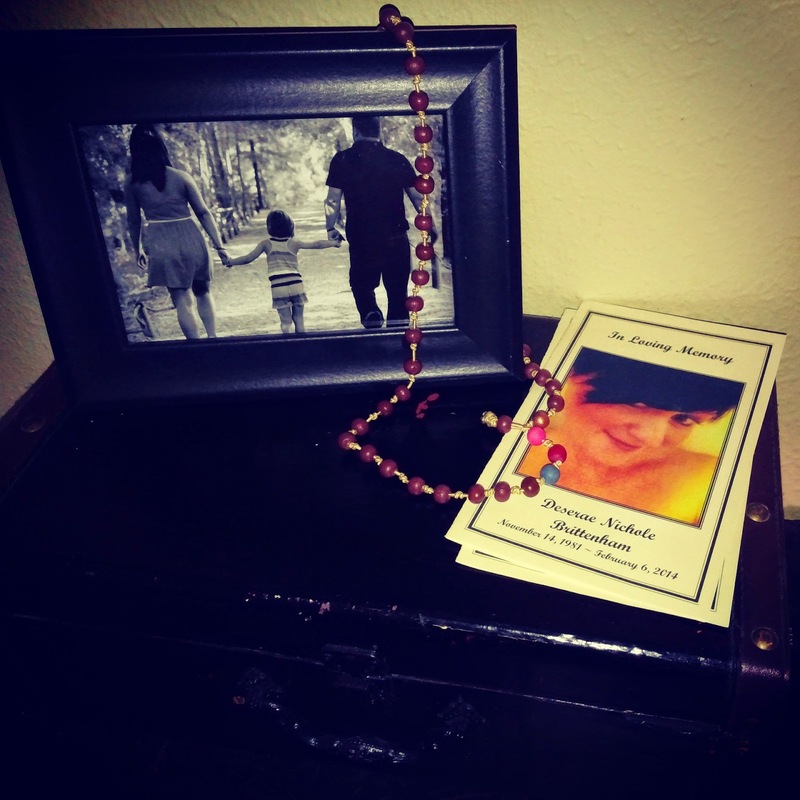 "Sasha loved her bracelet. She absolutely teared up when I handed her the bag; because I had talked about the packaging before, she knew what it was. She couldn't wait to show her husband and daughter 'their' beads. A couple of months ago we were talking about a friend of Sasha's who had just lost her mom. I mentioned my bracelet and the initial inspiration for Healing Knots, and got the first bracelet you made me to show to her. I gave her my bracelet and told her to send it to her friend. She did, along with her written version of the Healing Knots story. A week later, her friend said she had gotten the envelope Sasha had sent, but that it was empty. Sasha was sad, but remembered that perhaps someone else had needed it more. That afternoon, I got out my meager assortment of beads and string. Sasha and I both made her friend a bracelet. Our version of knots and spacing overall look were far from your gifted eye, but 'it's the thought that counts', right? Sasha's friend did receive that package and has told Sasha that she wears both bracelets all the time...one for herself and one for her mom." "During my latest trip to Austin, I met Corinne at her house. She poured each of us a cup of tea from an adorable teapot, we both added honey, then moved to the table to visit. I was telling Corinne tales of my 94-year-old mother who I take of with the help of sitters. The stories ran the gamut of funny sayings, poignant moments, frustration, and how unreal it is to be the parent to my own parent. I shared moments spent with our sitters, especially Sasha. She has become part of our family, since she almost spends more time at our house than her own. I told Corinne about Sasha's precious daughter Rayven, her adorable husband Robert and how Sasha keeps me sane on days that major Crazy envelops our house. Corinne casually said that Sasha needed a bracelet. I totally agreed and out came the bead box. I chose a blue bead to represent Robert, a red bead to represent Sasha and a pink bead for Rayven. Corinne so dearly suggested that we put a shiny gold bead on it to represent Sasha's sister, who passed away in February. Sasha teared up when I gave her the bag from Corinne, addressed to Sasha and tied with a satin ribbon. Inside was the made-with-love bracelet, a one-of-a-kind gift from a total stranger, given simply because I told a story to my friend Corinne." Sasha, Rayven and Robert with their Healing Knots bracelet. Dottie, thank you for sharing. Thank you for being with me along your journey. Your courage and love is amazing. Happy Thursday to you and all the Healing Knots friends!! !